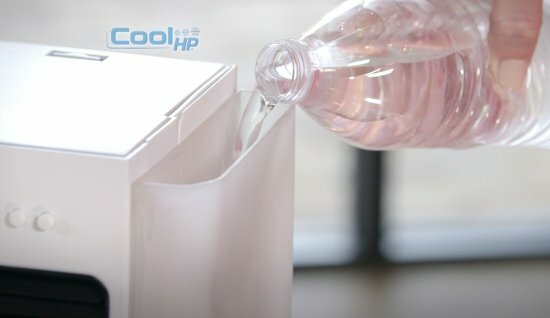 The small, portable Cool HP Cooler is the ideal solution if you want to cool your personal space, not to cool the entire apartment. The device is compact, does not consume much energy, has a detachable tank for cold water/ice and it has Nano technology filters inside so it will also purify your air by filtering out dust particles. 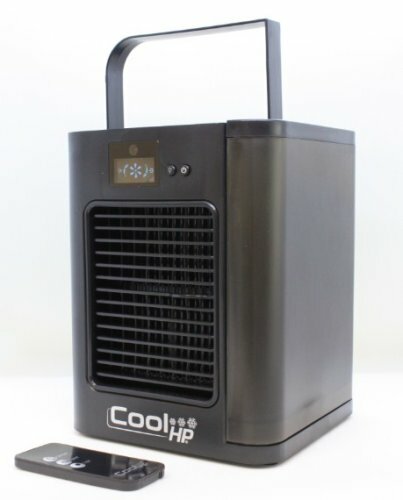 The Cool HP cooler has 3 wind speeds. This special edition Cool HP Plus comes with remote control so you can turn it on or change the settings without even getting up from the couch. Our homes can get really hot and unbearable… even for your pets! 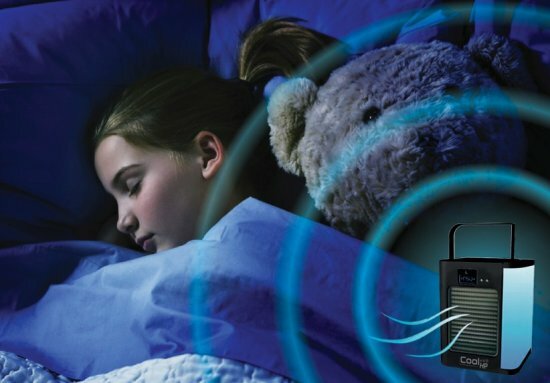 Don’t turn on the air in your home when you are by yourself. It is a waste of money and takes forever to cool down. Fans just blow the warm air around and don’t keep you cool! 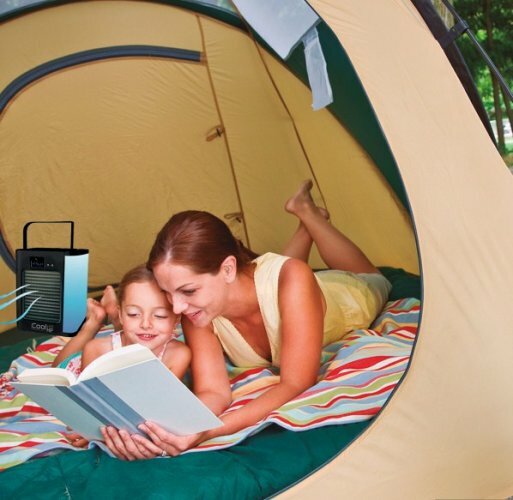 You need the Cool HP Cooler, the portable, personal air conditioner that keeps you cool. The Cool HP Cooler is small and compact. Simply fill it with cold water directly into the detachable tank. And if you want really cold air just add a couple of ice cubes to get the instant cooling effect. 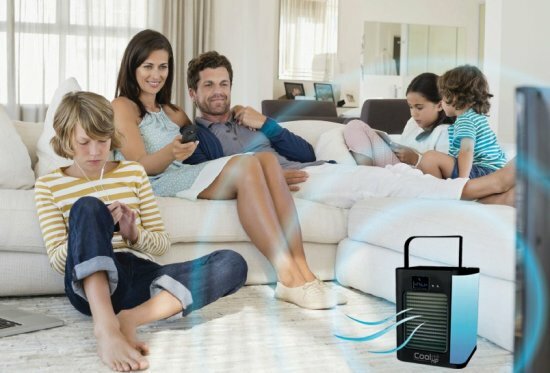 The Cool HP also has a hidden secret, it has Nano technology filters inside so it will also purify your air by filtering out dust particles and then humidify the air to help you breathe better and feel better. Cool HP - use it outdoors! So now you no longer have to put up with a stuffy hot kitchen while making your meals. Enjoy cooking again with the Cool HP to keep you cool. It hardly takes up any space, requires no installation and is easily portable. So you can use it when you are busy working. Use it when you are enjoying time with your family. You can even use it outdoors on your boat! Toss and turn all night because you are too hot and sweaty and you wake up just feeling exhausted. The Cool HP is the perfect sleeping companion to help you stay cool and comfortable all night long and wake up feeling refreshed. 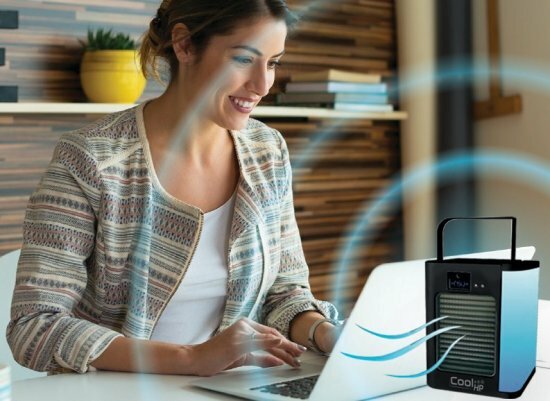 You need the 3 in 1 Cool HP Cooler that will cool your air, purify your air by filtering out dust particles and humidify your air to help you breathe better and feel better. It also features a soft blue light that looks beautiful with any décor, or you can leave it on at night for a soothing nightlight. Ever had those days or situations where you are justuncomfortable because you are so hot? And its just you in the house so you don’t want to turn on the air conditioner and waste all that money trying to cool the whole house. 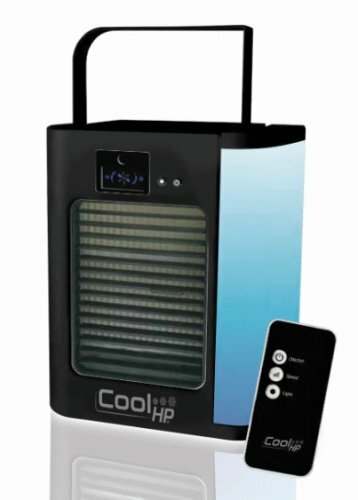 You need the Cool HP portable air cooler. 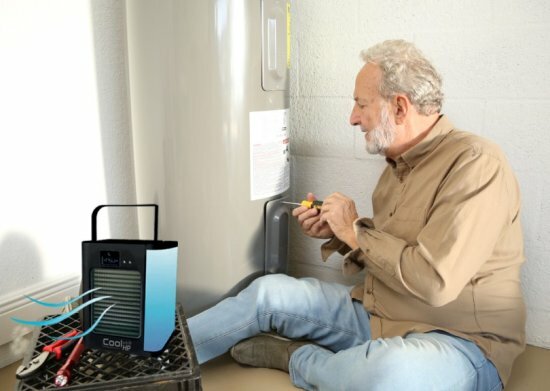 The Cool HP creates a cool personal cool microclimate using H2O cool air technology. REMOTE CONTROL - this special edition comes with a remote control, so you can turn it on or change the settings without even getting up from the couch. USB power supply – The Cool HP works on a USB power supply. You can run it using a wall outlet, power bank or laptop. LED blue light – It features a soft blue light that looks beautiful with any décor, or you can leave it on at night for a soothing nightlight. Detachable tank – Simply fill it with cold water directly into the detachable tank. And if you want really cold air just add a couple of ice cubes to get the instant cooling effect. 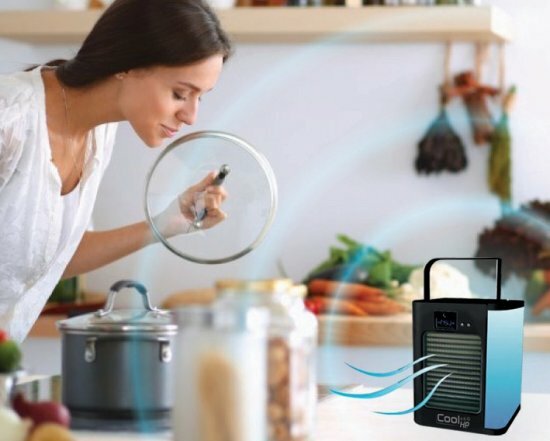 Nano filter – it has Nano technology filters inside so it will also purify your air by filtering out dust particles and then humidify the air to help you breathe better and feel better.